What I love about Lambie’s work is its energy. 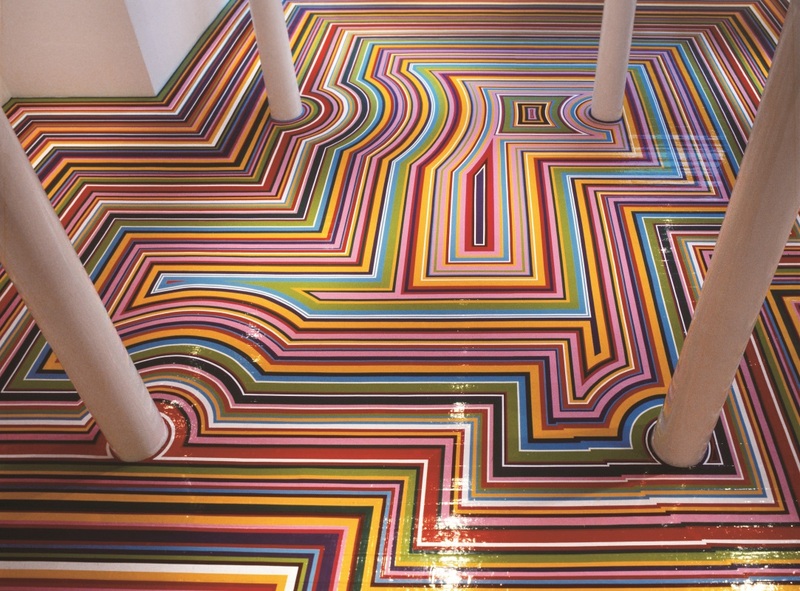 The colourful floor works have a real vibrancy that I enjoy. But it’s not just the colour and the way the lines engage with the shape of the space they inhabit that seems relevant here. It’s also the kinks in the line, sometimes in response to the space, sometimes seemingly more random, that intrigue me. The lines define the space. They are clear and purposeful but with signs of both minor uncertainty and sudden changes of direction. If the air of positivity of the work says ‘Yes!’, those little disruptions offset that and add an element of confusion. Maybe. 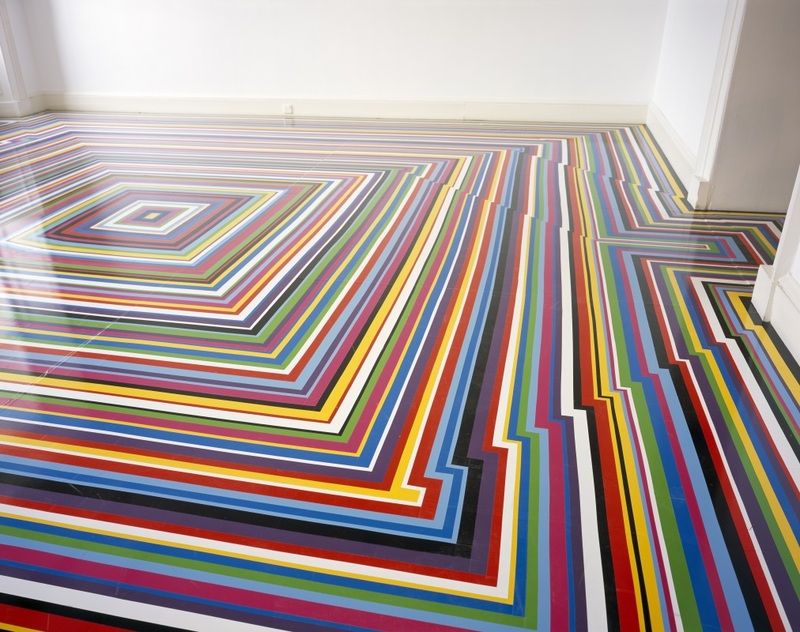 This entry was posted in Installation and tagged art, floor, Jim Lambie, Scotland, vinyl, Zobop by Ann Jones. Bookmark the permalink.